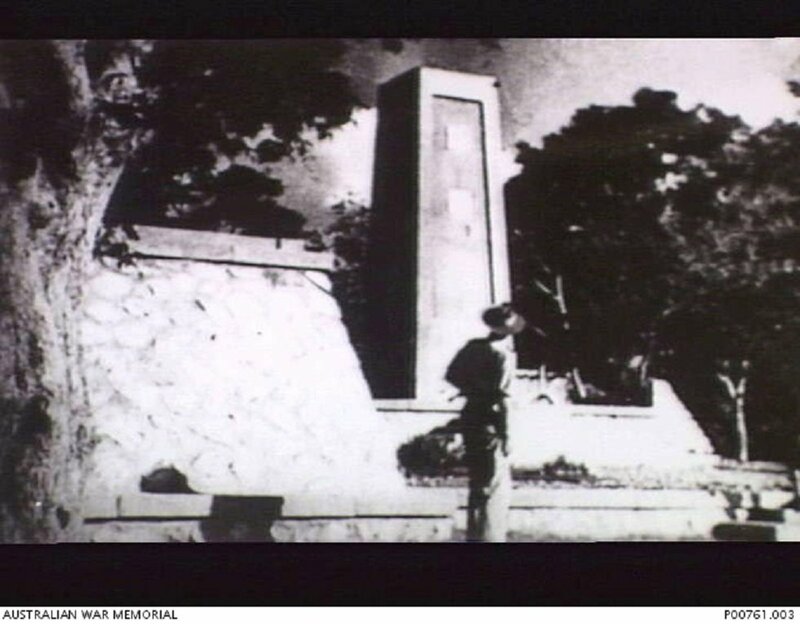 An Australian soldier surveys the monument erected by the Japanese in memory of those who died during construction of the Burma-Siam Railway. The monument was built using British POW labour, and opened near the Tamarkan POW camp on 21 March 1944. Image courtesy of the Australian War Memorial. January 1943. February 1943. July 1943. October 1943. 30 December 1944 - 31 July 1945. 1 July - 1 September 1945. 1 August 1942 - 30 June 1945. Takasaki Shinji, the first defendant, and Kaneshiro Takeshi, the second defendant, faced a number of charges. 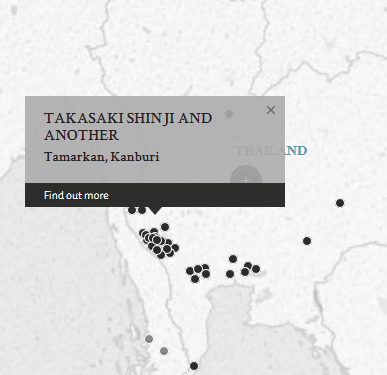 Both were charged for committing of a war crime by killing Privates Cleaver, Richardson, Dorval and Croker, Captain Poneroy and Lieutenant Howard, British POWs in Tamarkan Camp Siam. Individually, they also faced charges for the ill-treatment of several other POWs. Both defendants Takashi and Kaneshiro were low-ranked commissioned officers. They argued that they were obliged to obey the orders of their superiors. Despite raising their doubts to the superiors, the superiors told them to simply just obey the orders. The defendants argued that the mistreatment and killings of the POWs were the result of their superiors' demands. Takasaki, Shinji. Lieutenant. From Japanese military. From Japan. Guilty. Death by hanging. Sentence confirmed. Kaneshiro, Takeshi. Korean Guard. From Japanese military. From Korea. Death by hanging. Sentence confirmed. Coleman, L.G. Lieutenant Colonel. From British military. Court president. Solicitor of the Supreme Court. Lodge, E.F. Major. From British military. Stephen, L.B. Staff Captain. From British military. Law student. Sawada. Judge of Sendai District Court of Japan. Fujita. Judge of Hiroshima District Court of Japan.